This week, we have five more paid iOS apps that are free for a limited time only. Remember, if you see one you like, grab it now because once the price reappears, Mr. Freebie has left the building. So be decisive, act quickly, and look both ways before you cross the street. And if you know other iOS users, why not forward this story on to them? It might be a great ice breaker if you want to get to know someone better. We start with Photo and Video Collage Maker. Turning your photos and videos into a collage helps them stand out. Think about all of the times you have scrolled through Instagram, bored out of your mind, when all of a sudden something caught your eye. It probably was a collage. Normally $1.99, this app can be picked up for the low, low price of zero. 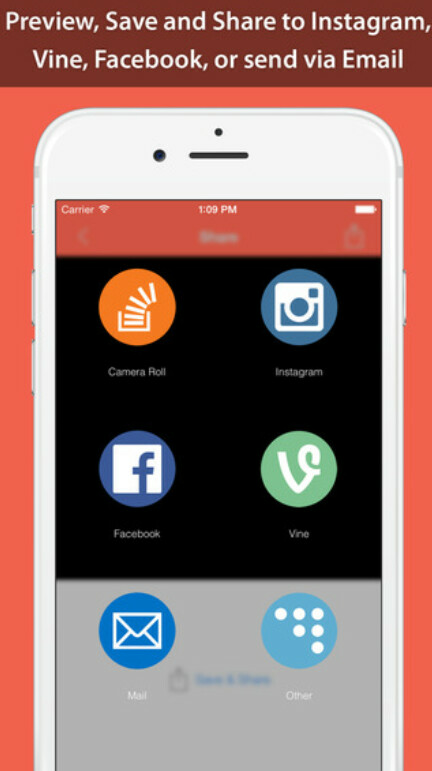 If you love to take photos and videos and post them online, this app is a no brainer. You can even add one of your iTunes songs to the collage that you create. Next is Blox 3D City Creator. Usually a $2.99 purchase, you or your kids can install this for free at the current time, and build cities from scratch. You can add buildings, people, cars and roads. From the busiest urban center to the smallest farming town, you can create different scenarios and have them come to life. Save a whopping $4.99 by installing Saver 2 right now. This app manages your money using graphs and charts. Create a budge and see what you are spending your pay check on every week. This app could save you money, and since it is free right now, there is no reason not to install Saver 2 on your iOS device. How would you like to be an airplane pilot. "Uhh...ladies and gentlemen. If you...uhh...ever dreamed about flying one of these birds...uh...you can now download Flight Unlimited 2K16 for free, saving you the $4.99 that this...uhh...app usually costs." O.K, so you'll be flying a Cessna, not a Boeing or Airbus. Who cares? This app is free for 24 hours only, so if flying is your thing, grab this app now. It includes landmarks like the Golden Gate Bridge, and follows a 24-hour day/night time cycle. If you like games with a physics focus, you're in luck. Salt & Pepper asks you to draw to get the spices to their respective bowls. There are over 320 levels to master. Normally $1.99, this game is free at the moment. Those are all the freebies we have for now. You should be able to find at least one app to install on your iPhone or iPad right now. I can get all my Apps easily for free on Android without supporting the developers a tiny bit. And that's the reason why developers still love and prefer iOS. Playstore was never the only option for android users, they can easily download any apk's from the internet, so pls stop talking about so called ios quality, ios and quality is an oxymoron. That's a good thing for you; another thing is that you'll have worse quality apps and you'll have them after iOS users already got bored with them. That might be ok with you, but, unfortunately, it's true for most of Android app ecosystem.